Auschwitz-Birkenau Museum is a place of memory, that everyone should visit at least once in a lifetime. Remembering the terrible crimes committed here is our moral duty to more than a million people, who lost their lives in the camp and all victims of the Shoah and other manifestations of Nazi terror. Visiting the remains of the Auschwitz-Birkenau realizes the scale of the monstrous atrocities done here and makes us to faced up to the extremely difficult and painful questions about the humanity. Oświęcim (Ger. Auschwitz) was annexed to the Reich after the German invasion of Poland and the concentration camp was established near the city in 1940. At the beginning of its existence most of the prisoners were Polish, but there were also Polish Jews (although at that time still not on a massive scale) and some representatives of other nationalities. After 1941, when the armed conflict between the Third Reich and the USSR began, many captured soldiers of the Red Army joined the prisoners. Soon, in a nearby Brzezinka (Germ. 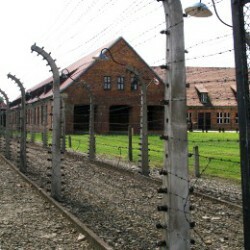 Birkenau) the Auschwitz II – designed as a death camp – was completed. It became a place of mass extermination for hundreds of thousands of Jews and about 20 thousand of Romani people, the true death factory, enforcing a plan of the ‘Final Solution to the Jewish Question’. 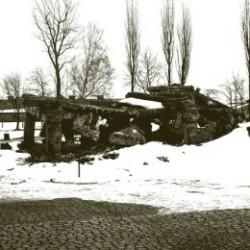 This infernal machine works until the liberation of the camp in 27 January 1945. 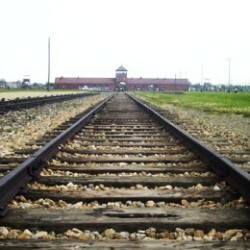 Since 2005 the day of liberation is celebrated as the International Holocaust Remembrance Day. Museum in the former German Nazi concentration and extermination camp Auschwitz-Birkenau was established two years after the war. Its main tasks are conservation of the original remains of the camp, scientific research, documentary work, and, above all, education. More than a million people come here every year. 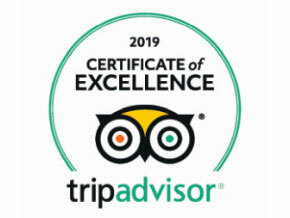 Krakow Guide helps in booking visit cards for Auschwitz Tours, provides transport (there is a possibility of being picked up from the hotel) and care of a qualified guide. 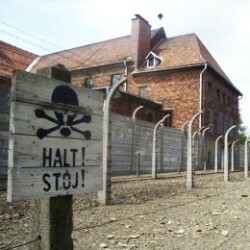 The tour starts in the former Auschwitz I camp from passing under the gate with inscription ‘Arbeit Macht Frei’ sounding like a grim and cruel mockery. Thanks to plans and photographs exposed in Block 4, we will learn about the Nazi camps, including main assumptions of the criminal ideology, which inspired creation of Auschwitz-Birkenau. The first material witness convicting us about reality of the unimaginable crimes, that took place here, are cans of Zyklon B and, above all, preserved hair of hundreds of victims. The exhibition prepared in Block 5 of Auschwitz I is entitled ‘Evidence of crime’. Silent witness of atrocities committed here are personal items, that remained after the Jews sentenced to immediate extermination. We could see dozens of suitcases and a huge amount of small things, such as glasses, toothbrushes, hundreds of shoes, children’s clothing, even some Jewish ceremonial robes. Thanks to that, we realize the scale and unimaginable cruelty of mass murders committed here on thousands of innocent people. Thanks to that, we realize the scale and unimaginable cruelty of mass murders committed here on thousands of innocent people. This part of exhibition presents the fate of a prisoner from the moment of arrival to the camp and receiving the number. Another emotionally difficult experience is watching a magnified photographs of prisoners with only a few information about each person. Looking into their eyes, we are perfectly aware of the drama hidden behind these few simple facts. Life in the camp is also documented through the paintings by Auschwitz prisoner, Mieczyslaw Kościelniak. A separate section of the permanent exhibition is devoted to this two aspects of camp life. About the tragic conditions of existence in Auschwitz tell us not only the original photographs and paintings created by former prisoners, but also the appearance of interiors reconstructed in the preserved camp buildings. Among other things we could watch sleeping bunks and sanitary facilities. There are also more photographs from the prisoners’ personal documents. Another special place of memory is Block no. 11 . People suspected of joining the conspiration or attempt to escape were imprisoned in this building. 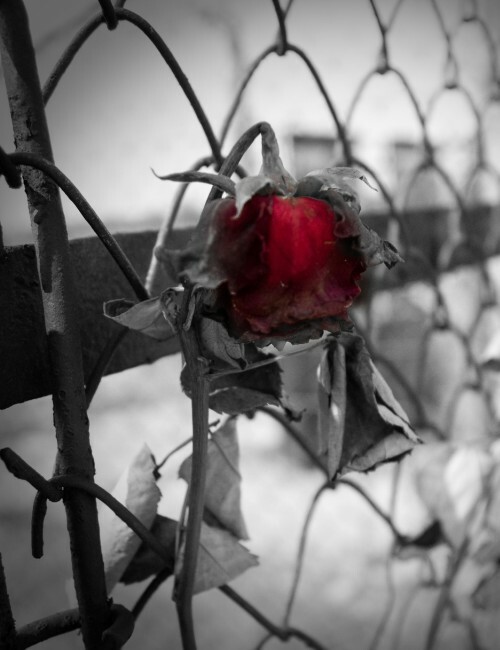 Most of them waited for the death penalty, sometimes other terrifyingly brutal consequences. The Museum has also prepared special exhibitions devoted to the fate of the prisoners and Gestapo actions in the area of investigation, punishment and executions, as well as the functioning of the camp conspiratorial underground. It is located right next to the Death Block place of executions and public punishing. Many people associated with Polish underground organization fighting the Nazis loosed their life here, often brought from outside the camp after the Gestapo investigation. There were also many Jews, prisoners from the Red Army and representatives of other nationalities among the thousands of people executed here. 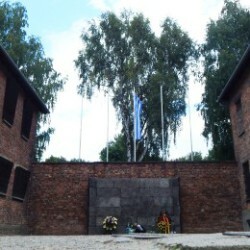 The first gas chamber and crematorium in Auschwitz. 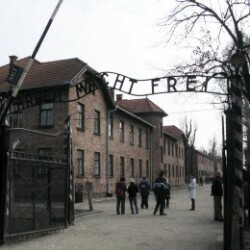 They operated until the Auschwitz II was built. Visiting the building and watching two crematorium furnaces (reconstructed from original remains) realizes, how terrifyingly dehumanized was the system, which turned mass killing into an organized industry of a large scale. 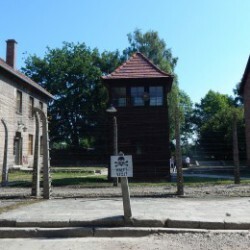 The characteristic view of the railway ramp and the gate of the death camp in Brzezinka (few kilometres away from the Auschwitz I) remains in the memory forever. Visitors could see here camp barracks including their interiors, the ruins of gas chambers and crematoria, as well as the permanent exhibition in the former main bath, in which we walk the same route as the prisoners right after arriving at the camp, but with a special, transparent platform (preserving original floor) under the feet. Family photographs of murdered Jews once again faced us with a concrete people not with a crowd of nameless victims.